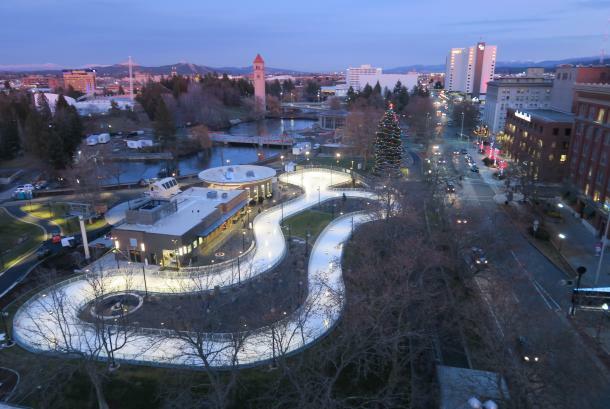 In the winter, the Skate Ribbon invites ice skaters to explore the dips and climbs of a wandering trail, discover scenic urban views or cozy up with hot cocoa at one of three fire pits. In the summer, you’ll see roller skating, art walks, and other programmed activities along the ribbon. Nearly every day, you will find a wide variety of unique activities and events surrounding the Skate Ribbon. The ticketing facility shared with SkyRide includes a cafe and large windowed dining area as well.